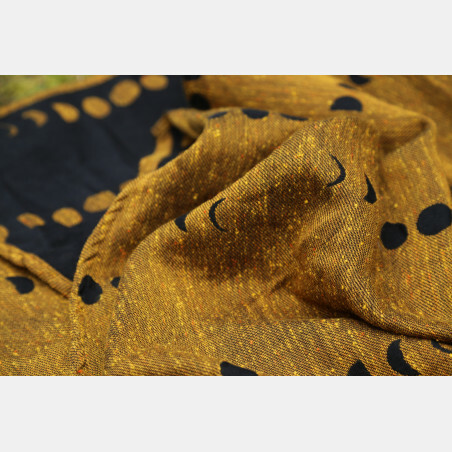 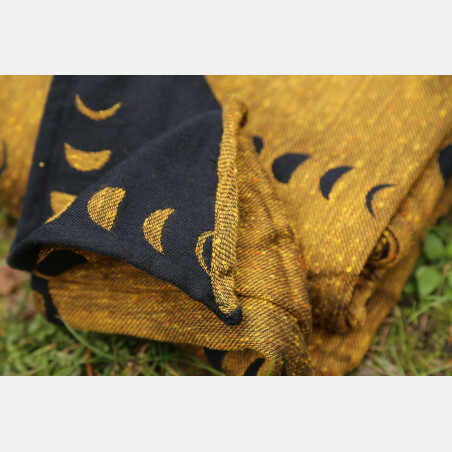 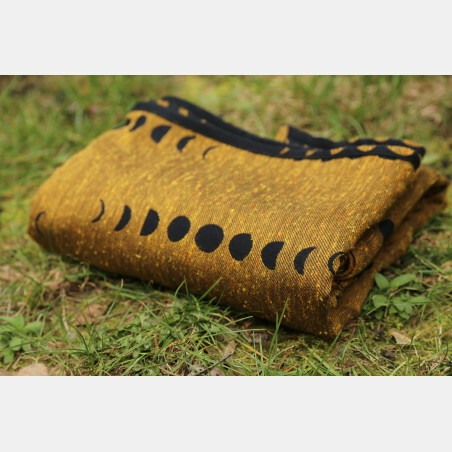 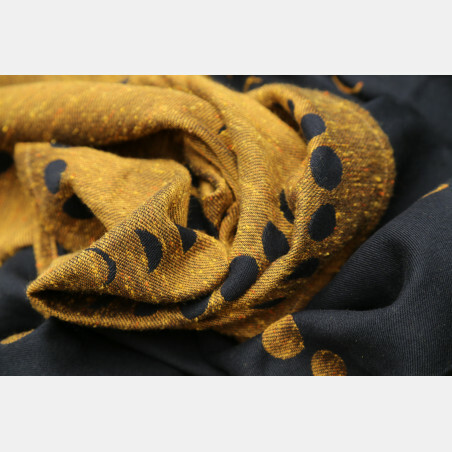 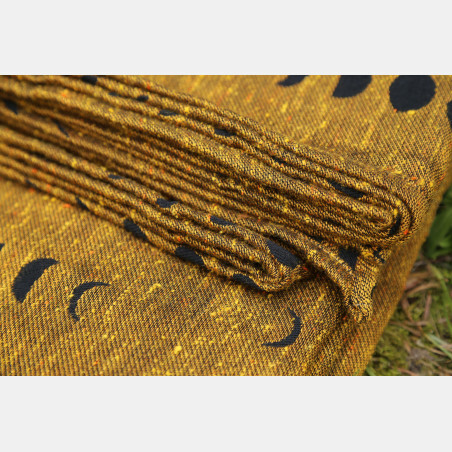 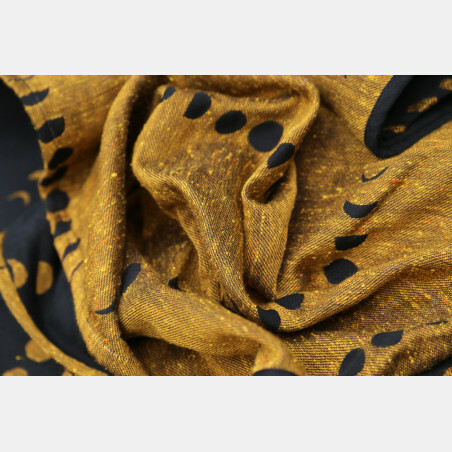 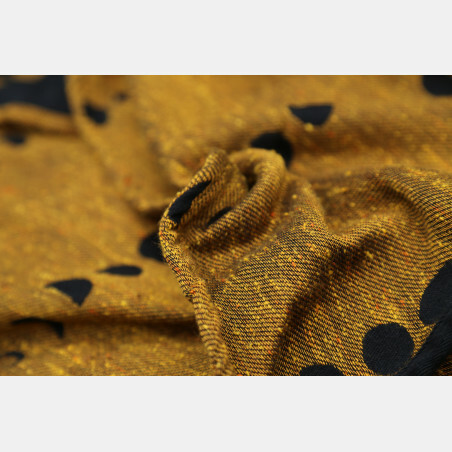 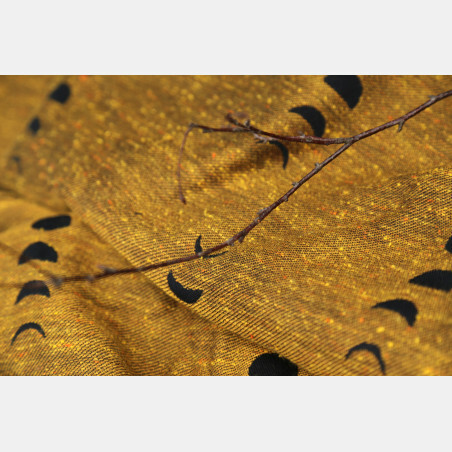 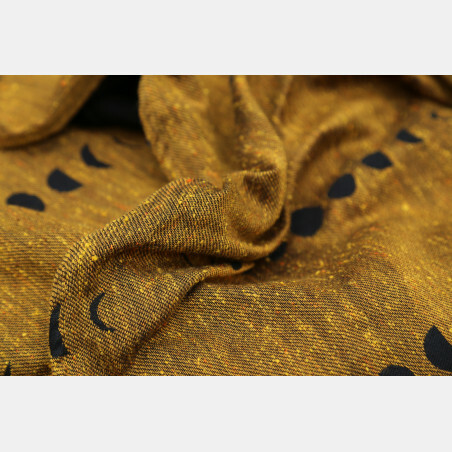 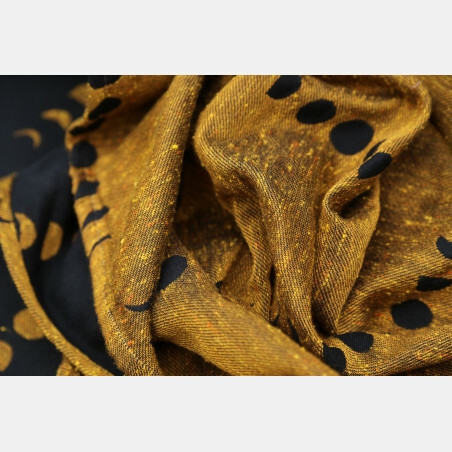 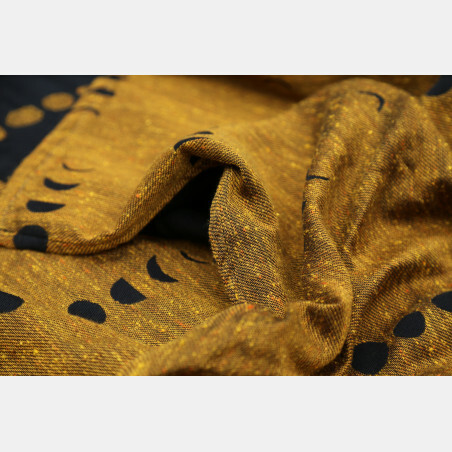 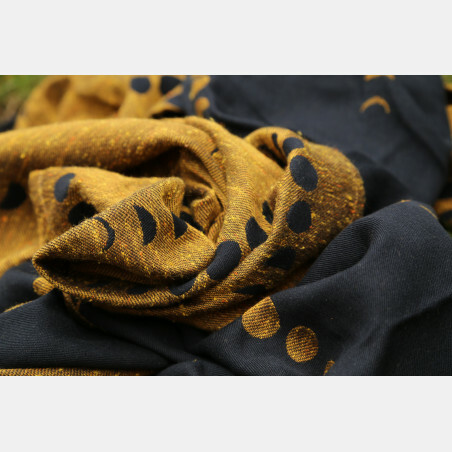 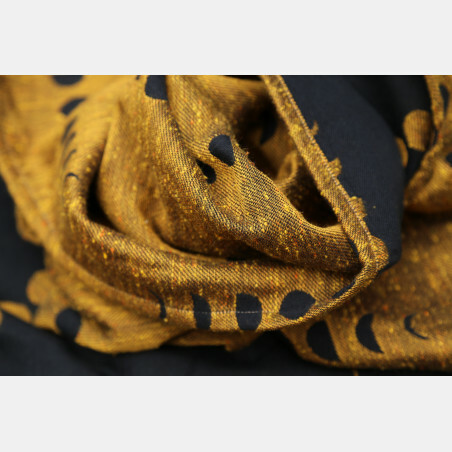 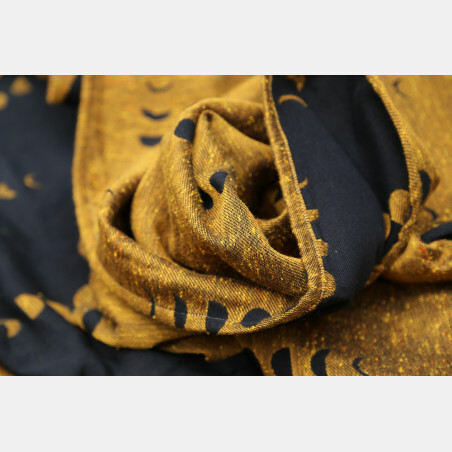 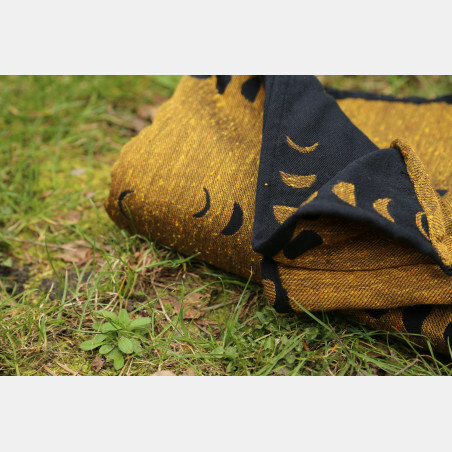 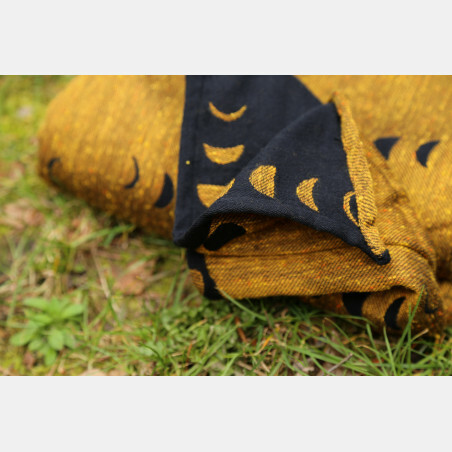 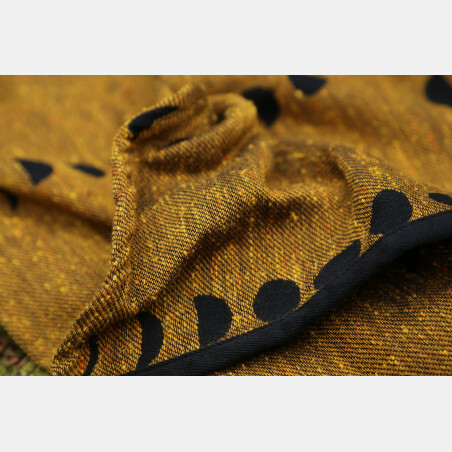 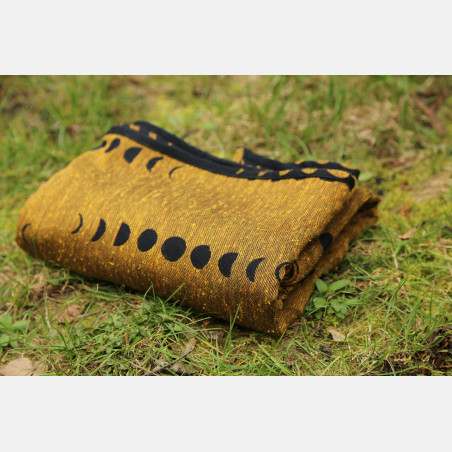 Mustard viscose with orange and brown slubs on black creates a stunning liquid gold impression. 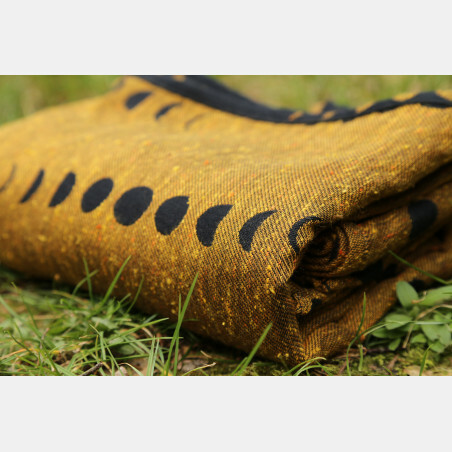 The wrap is suitable for newborns and toddlers. 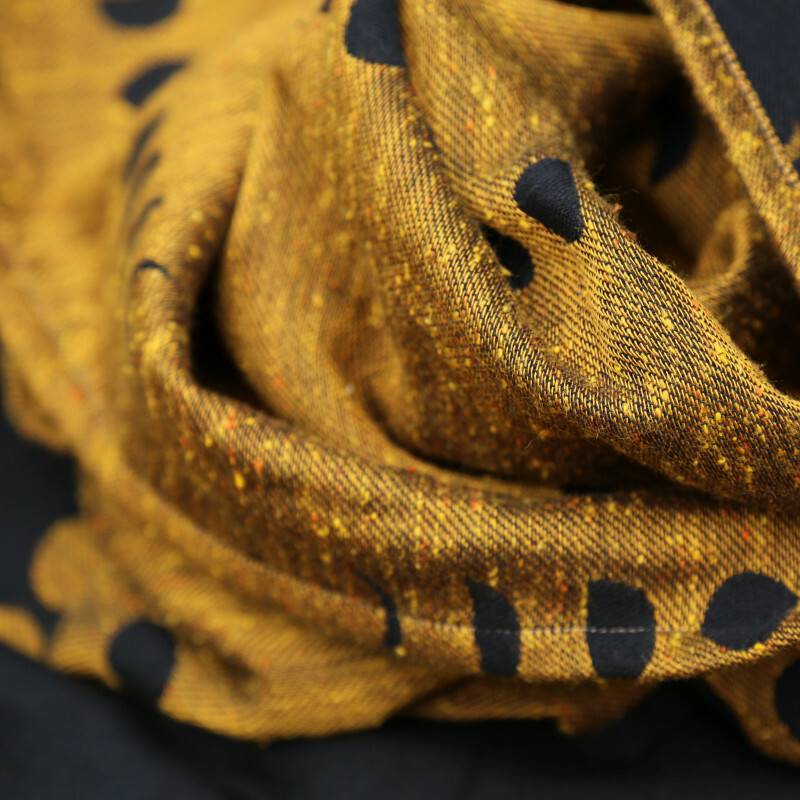 Woven in our signature raspberry weave, it will be soft after the first wash. 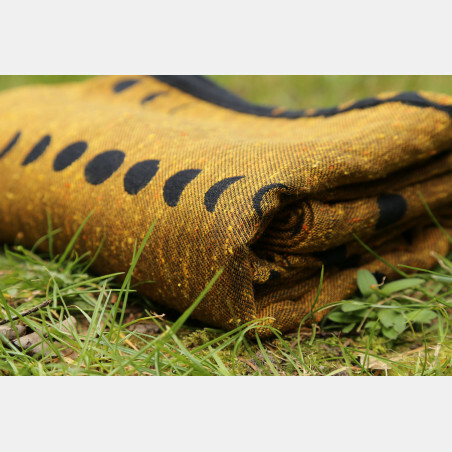 This is an easy in care and use wrap, suitable for all occasions. 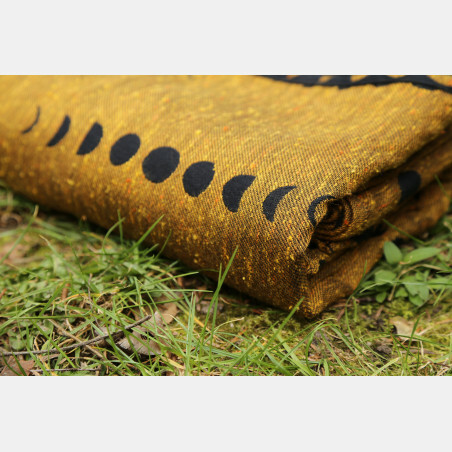 The wrap may be washed in the machine on gentle setting at 30 degrees Celsius, and a maximum of 600 rotations.